This year, I finally checked the Cleveland International Film Festival off my bucket list, although I admit planning was a little overwhelming in the beginning. Even when I got my hands on the program guide, I had difficulty choosing movies because there were so many. I’d never heard of any of these movies, and since they weren’t your typical Hollywood type, they didn’t come with lots of buzz (or at least any that I was aware of). The program guide is the CIFF Bible. It includes everything you need to know about the festival from film summaries to hotel info, if you're an out of towner. I thought if I read it cover to cover, I'd be ready to make my plan. Definitely a wrong move for a CIFF newbie! It wasn’t until I started getting emails from organizations I follow sponsoring films that I was able to map my film festival journey. By exploring the movies’ websites and watching the trailers, I learned how special these movies were. I began to search by movie categories. When I stumbled on the Race Relations and African Diaspora categories, I spent what seemed like hours on the website watching trailers. Soon I discovered that I could plan my schedule online and I began putting movies in my cart. By the end of the night, I was psyched, but quickly saddened because my shopping cart had over $200 of movie tickets in it. I hadn’t budgeted $200 for movies, so I got my cart down to four movies. Next year, I'll be sure to budget for CIFF. After watching the first movie, Tickling Giants, a documentary about Bassem Youssef, the Egyptian Jon Stewart, I was hooked. 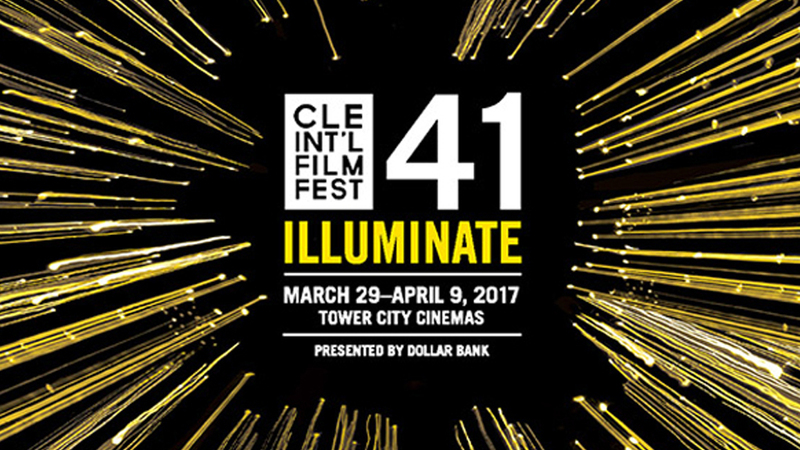 After each screening, I searched the Program Guide and website to learn more about CIFF. Not only did I watch four movies, I also attended the #CIFF41 Live Show hosted by The CLECast, and checked out Perspectives, a storytelling, interactive exhibit. If you decide to attend next year, make the most of the experience by keeping these suggestions in mind. Get to your movie early. Unlike the regular movies, you can’t arrive right before the show with hopes to get your popcorn and snacks, and find the perfect seat. We lined up for Tickling Giants 20 minutes before the movie started, and the line stretched to the Q walkway! I even missed one of my movies because I was late. Pace yourself. CIFF is a marathon, not a sprint. Because it runs 10 days, with movies playing all day, if you schedule multiple movies in a day or everyday of the festival, you may tucker out. (I hate admitting that as a rookie this happened to me!) There are no refunds for tickets unless the movie screening is cancelled, but you can exchange tickets for a fee. Turn in your ballot after the movie. Many of the films are competing for different awards. Viewers can cast a ballot rating the movies from poor to excellent. Check out a few of this year’s winners. Participate in other CIFF events. There’s so much more to CIFF than watching films. There are panel discussions, exhibits, and screenings throughout Cleveland. I learned CIFF is more than a movie experience. It's an experience that weaves CLE together with the world. I’m so looking forward to next year. 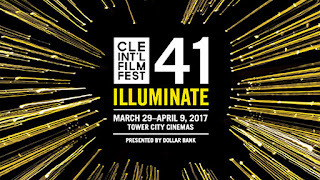 Hopefully, my newbie insight will encourage you to attend CIFF next year and maybe we can meet up April 4-15, 2018 at one of the screenings.